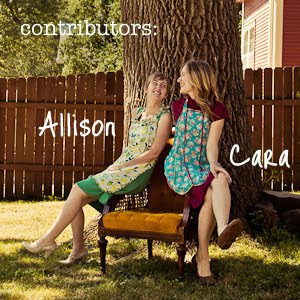 Here's a quick share of a little goodie I found online awhile back at the Sprouted Kitchen. These little goodies are vegan, dairy and sugar free and so good! Remember our love of coconut haystacks! This is a the best homemade recipe I've tasted. 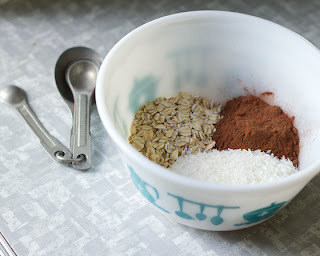 You can find the full recipe, as well as Sprouted Kitchen's beauuuuuutiful food photography here. 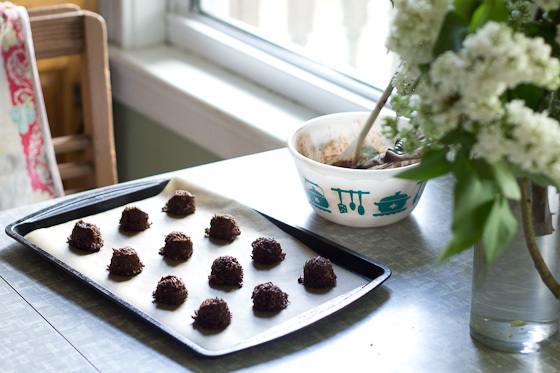 Here's my own take on making these cocoa coconut goodies. This is my ingredient list for a half batch (makes 12). Full batch recipe here. Preheat oven to 215F. Mix the dry ingredients, then stir in the syrup, oil and vanilla extract. Use a melon baller to scoop out to form 12 balls approx 1-inch diameter and space evenly on a parchment lined baking sheet. Bake for 20 minutes on middle rack. 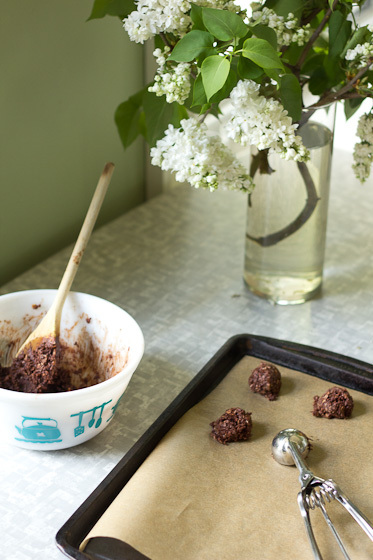 For a raw treat you can skip the baking step and keep the cocoa coconut balls in the fridge. Super yummy! 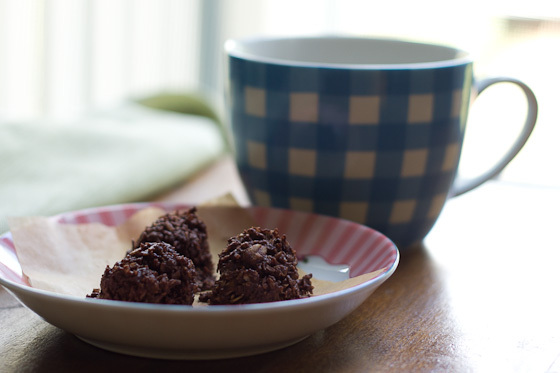 I modified it slightly b/c I really wanted straight coconut haystacks (not chocolate stacks). Substituted almond flour for cocoa powder and drizzled melted chocolate on top. Substituted agave for maple syrup (didn't have maple syrup!) They were a little sweet for my taste with agave, but might be ok with maple syrup. Will taste before baking next time and adjust to taste. They were delicious both raw and baked. Thanks for sharing! Hi Tammy, your modifications sound delicious! I will try that next time. I'm thinking the more subtle sweetness of maple will be welcome after all of the holiday treats. And I've been meaning to explore almond meal in my cooking.